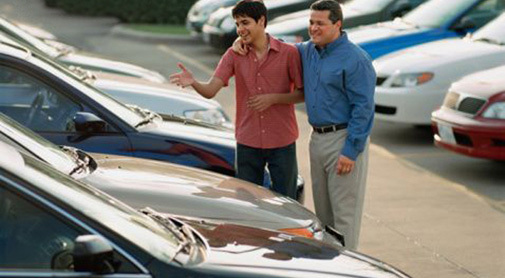 After my freshman year of college I took a summer job as a car salesman. One day somebody brought a magazine to the car lot with a survey we all pored over: “Least Trusted Professions”. Right there in the number one spot: car salesman. I was 19 so I thought that was great, a badge of honor. I remember noticing that second was “ad men”. Hey, I thought, I’m even worse than people who make advertising. Well, now I’m an ad guy. And I don’t trust us either—or at least I don’t trust advertising. Who would? Our industry’s measure of success is hardly noble: get people to believe us and our work is done. Of course, nowadays, few people believe anything that sounds like advertising; they filter it out without a thought. So, how do people navigate the sea of facts and testimonials that inundate our world? Not by attempting to parse individual claims. Rather, most of us decide who we really trust based on their actions. We decide not what we believe, but who we believe in. If you’re a marketer these days, that’s your job: create believers. Get customers to believe in companies or products the same way they believe in people: based on what they do. If this doesn’t sound like a job for traditional marketers, you’re right, it’s not. Which is why the agencies that matter today do work that looks nothing like traditional marketing. What hasn’t changed is the necessity of stories. Marketers still need to use every trick in the book and dozens that haven’t been thought of yet to engage people in great, compelling stories. The difference today is this: to make believers, the stories have to be true. Having spent much of the last 15 years working with great people on ways to get the word out about products, I can attest that we are on the brink of a new era, with exponentially more ways to involve customers in completely new kinds of stories. A few companies and agencies are already there. Read on to see who they are and how you can join them. niunia: This was a great read.